WWE Legends Of WrestleMania offers a nostalgic dose of sweaty grappling based on characters and themes present in the 1980s-1990s. Events, venues, entrances, costumes and music have all been recreated and included in this sports entertainment time machine. The game features a grapple-based chain-combo system and uses the directional pad and the four face buttons to execute moves. During gameplay an on screen HUD shows a health bar and current chain grapple level which after successfully completing attacks increases with more powerful moves available at the top level. Each wrestler has a number of taunts, which can be used to temporarily increase health, strength or durability. Calling on a manager to interfere is also a sneaky tactic available to help swing the outcome of a match. The main WrestleMania Tour mode is spit into 3 sections allowing you to relive (recreate a legendary match by completing objectives), rewrite (play in a classic match and change the outcome) and redefine (change the conditions and types of classic matches), some of the greatest events in WWE history. Alternative costumes, new exhibition venues and movies are rewarded for completion of challenges throughout the game. 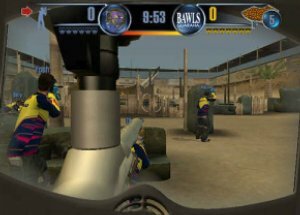 A large number of Exhibition match types are available including Single, Steel Cage, Ladder, Hell In A Cell, Iron Man, Submission, Tag Team, Triple Threat, Battle Royal, Handicap and Royal Rumble. 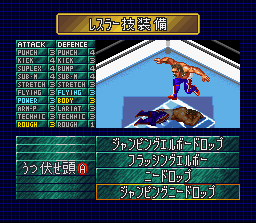 The game also includes a create a wrestler option where you can add your own move-sets, create a custom entrance or make your own legendary tag team.